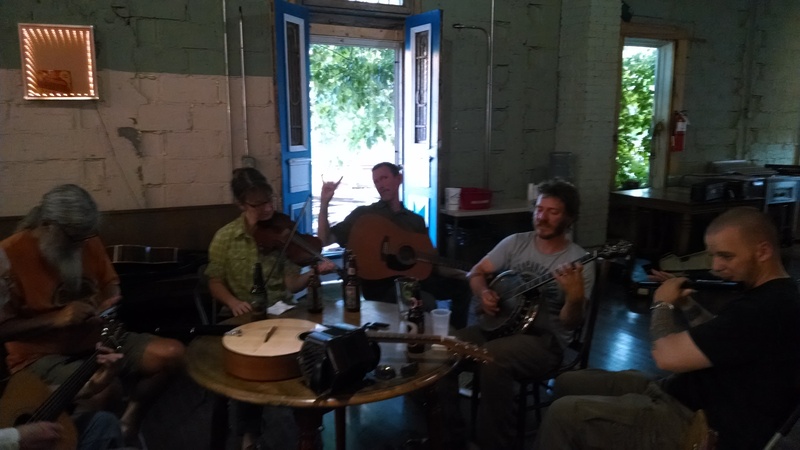 Last night I made my way back to a special Irish Session Deep in the Woods of West Asheville, to learn some new tunes. They are Sonny Brogan’s, The Crooked Road to Dublin and Taumgraney Castle. I took some time today to tab them out. Here are the .pdfs with sheet music and Mandolin Tablature. It’s a little like Irish Music, no? I’ve recently been turned on to a great tune called Farewell to Whalley Range. We played it during the last session in Marshall this past Tuesday. Note the photo from the session…Notice Tim…guitarist/bazouki player for the band Noonday Feast (see: http://www.noondayfeast.com). Tuesday night session in Marshall, NC at Goodstuff. 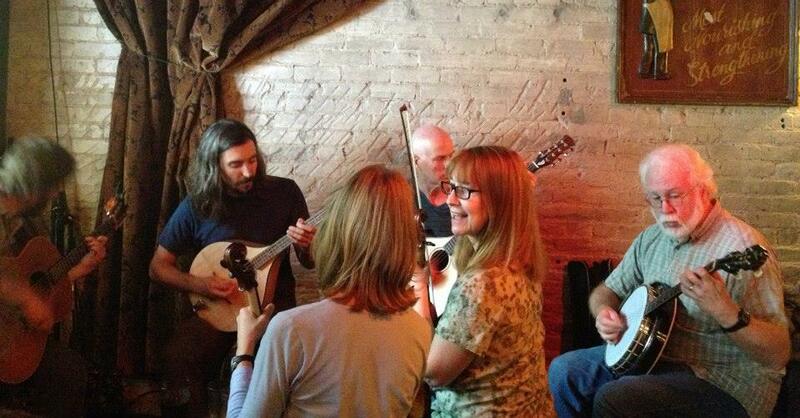 With Tim Potts of Noonday Feast playing guitar. Here is a clip of Dónal Lunny & Michael McGoldrick to play along with.